Hi, I’m Laura. I’m the writer, photographer and child-wrangler behind this site. In late 2011 I left my job of four years as a community newspaper reporter and editor to stay home with my daughter. Catch is, we didn’t stay home. Instead, we took a cross-country road trip in the dead of winter. Now I’m a stay-at-home mom in Alberta, and a part-time writer/editor, working on freelance contracts while the baby sleeps. Travis is the other half, the co-parent, the significant other. Sometimes I call him my Non-husband, just to be snarky. He is handsome. Yup. Sylvia is the baby. I guess she’s not much of a baby anymore, but she loves to swim and eat berries – all kinds – and resists sleep as much as I’m told I used to. That’s called payback. You may know somebody else who shares my name. It was a popular name in the 80s, and remains on the top 100 baby name list in North America. It’s true, it’s a great name. But in Grade 1, there was another Laura in my class. She moved away in Grade 3, but not before we each learned to write our names on all our work, and include our last initial. And a dot. So, atop every one of my gradeschool artwork and assignments, I would write Laura B. Get it? My grandmother did, because she soon started calling me Laura Bee Dot. And now, so may you. Wait, isn’t your blog called The Sheds Project? Yes. I mean no, not anymore. I’m in the process of taking over the Internet with my very own domain, www.laurabeedot.com. But you know, setting up shop on the Internet while maintaining a full time job on part-time childcare is a challenge, so that link will only re-direct you right back here. You’ll be the first to know once the new site is up and running, I promise. I first called my blog The Sheds Project, as a way to chronicle the treasures and trash I came across while cleaning out our two woodsheds (a monumental task). The early posts will reflect that, but I also write about our (stalled) home reno, life as a long-distance family, and other exciting things like blueberry picking and running. We usually live in Newfoundland, in a part of the province where sheds are still used for wood and tools, not mini fridges and flat-screen TVs. Our house is tiny. The Atlantic ocean is mere steps from our front door. But! This is our second year of seasonal migration. We now divide our time between Alberta and Newfoundland. It’s not as glamourous as you might think. 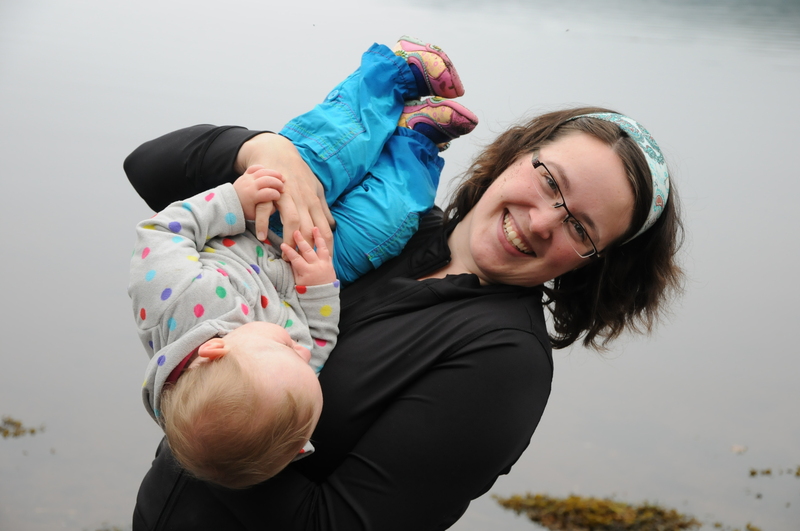 Hi Laura – I found your blog through the Tales of a Mountain Mama guest post you did. I’m also in NL, blogging about life and motherhood and hobbies and miscellaneous other thoughts (useveryday.blogspot.com). Looking forward to reading more from you and our lovely corner of the world! Wandered here via Momalom. Lovely! So glad I did!